The hardest reviews to write are for those shows and movies that you don’t enjoy or particularly even like, but where you can appreciate the quality and recognise what the creators are trying to do. Scum’s Wish is one of those well-motivated and impressive shows. I actually think it’s well made, very watchable. I just didn’t like its tale of dark and twisted teenage romance and first love. 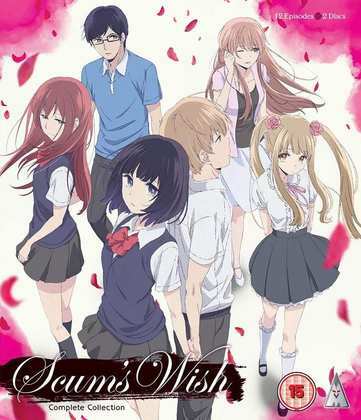 When you consider the usual anime romance, Scum’s Wish is a paragon of realism, although there are a couple of relationships that might cause you to blink twice. I guess I’m just an old romantic, as it was just a little too cynical for me. Next up was the review for Pigtails and Other Shorts, the long awaited anime anthology from Anime Limited, showcasing the works of Production I.G. and in one case, Anime Limited’s favourite director Masaaki Yuasa. Anthologies are by their very nature eclectic, and Pigtails is no exception. It will all depend on your personal preference as to which you prefer, but personally I think four of the five animations are well worth your time. 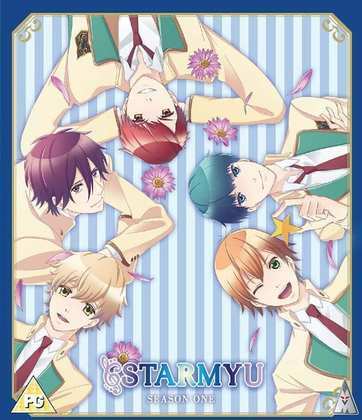 I rounded off the week with Starmyu Season 1, which briefly raised my expectations, before cruelly dashing them again, as it turned out to be just what the trailer promised rather than the ‘something greater than the sum of its parts’ that I had hoped for. It’s a gender-switched idol show, where five pretty boys get together to sing and dance and succeed at their dreams against unexpected adversity. Prepare to invest in the trials and tribulations of the least masculine men on the planet. NieA_7. They used to make anime like this once upon a time. NieA_7 is like a seriously chilled out version of FLCL It’s from Yoshitoshi ABe, the man behind Haibane Renmei, Serial Experiments Lain and Texhnolyze. NieA_7 is his most audience accessible show, an out and out comedy, if you consider a show set during an economic recession with a protagonist most likely suffering from clinical depression a comedy. It’s a Japan where aliens landed and assimilated with society, the latest wave of immigrants. Mayu is a hard-up girl whose father died at a young age. She’s going to prep school trying to get into college, and working two part time jobs just to get food on the table, living in a rundown bathhouse in Enohana. And in her closet lives freeloading alien and free spirit NieA, who spends her days gathering junk building UFOs. It’s a funny mish-mash of ideas and characters, but which makes its comedy work through a sense of ennui and malaise. In some ways it reminds me of the Sean Lock comedy, Fifteen Storeys High. 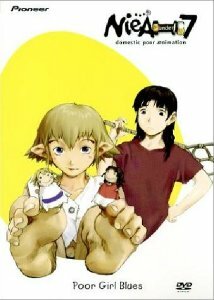 NieA_7 was originally released across 4 DVD volumes in the US by Pioneer (who later became Geneon). That was way back in 2001, and I managed to grab all four volumes before they finally vanished from shop shelves. Actually, if I recall, NieA_7 was my first anime import title. Here’s the review for Volume 1. After a long, long gap out of print, Eastern Star a.k.a. Discotek gave NieA_7 a Blu-ray release (note that this is a digipaint show from the end of the 20th Century; so it’s an upscale. But it is a BD/DVD combo release so even if you can’t spin Region A, you might have more luck with the DVDs as Discotek tend to code for Regions 1 and 2. MVM released Scum’s Wish on Blu-ray last Monday 11th March, while the Starmyu Blu-ray comes out from MVM today. 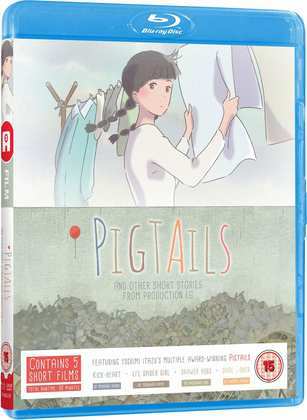 All the Anime’s Pigtails and Other Shorts standard BD/DVD combo comes out next Monday 25th on general retail, although the Anime Limited webshop exclusive Collector’s Edition has been out for a month.